Great Organizations Are Not Born. They are shaped by collaborative and data-driven leaders. + What does a typical Leadership Team engagement look like? 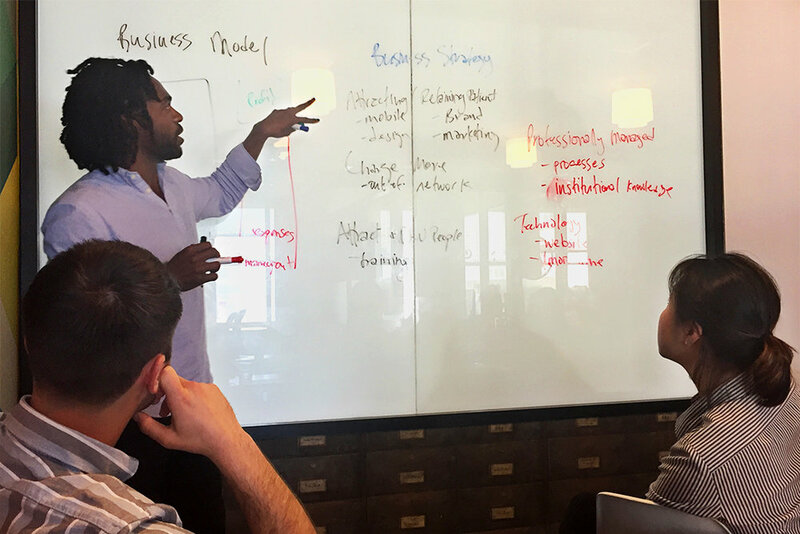 Consultation with the Team Leader: An Epic Teams Developer meets with the CEO to learn about the state of the team and determine business goals and milestones to reach over the next six months. Baseline Data: Using the Team Diagnostic or the AI-based platform, Saberr, we learn about the current strengths and growth areas of the team. The exec team meets monthly to implement a Team Growth Plan for improving its performance, engagement, and growth. Each exec also implements a Personal Growth Plan for making progress on individual performance, engagement, and growth. An Epic Teams Developer meets with each exec regularly to coach on team leadership competencies for use in one-on-ones, team meetings, and everyday work. Review Learnings: At the end of 6 months, the team reviews learnings and insights using the follow-up diagnostics. Plan for the Future: The team develops a subsequent Team Growth Plan for the next six months, with full team coaching responsibilities effectively transferred to the team leader. Per team monthly cost is substantially less than a one-on-one executive coaching engagement for each leader. It is also much more powerful, since we leverage multiple points of accountability for ensuring sustainable behavior change. + How do you measure effectiveness? We measure the reactions, learnings, team competencies, and business outcomes of the program. + What about leadership offsites? We also facilitate team offsite experiences that have real and lasting impact for your org. + Do you offer 360s and traditional coaching? Yes, although we approach this process differently than other leadership development firms. The end goal of an effective 360 experience is not just about surfacing blind spots and weaknesses for leaders. It is about fundamentally improving the people system of the leader so that information flows freely and powerfully for continuous improvements over time. We facilitate transformative dialogue amongst colleagues to identify and support the conditions that help them do their best possible work together. After the 360 process, we coach leaders over the course of 3-6 months to help them make progress in areas that make the biggest difference to their professional development and to their teams.